What are Photopolymer stamps? Well, we’ve searched long and hard for just the right material to be able to introduce completely clear stamping. And we’ve found it. 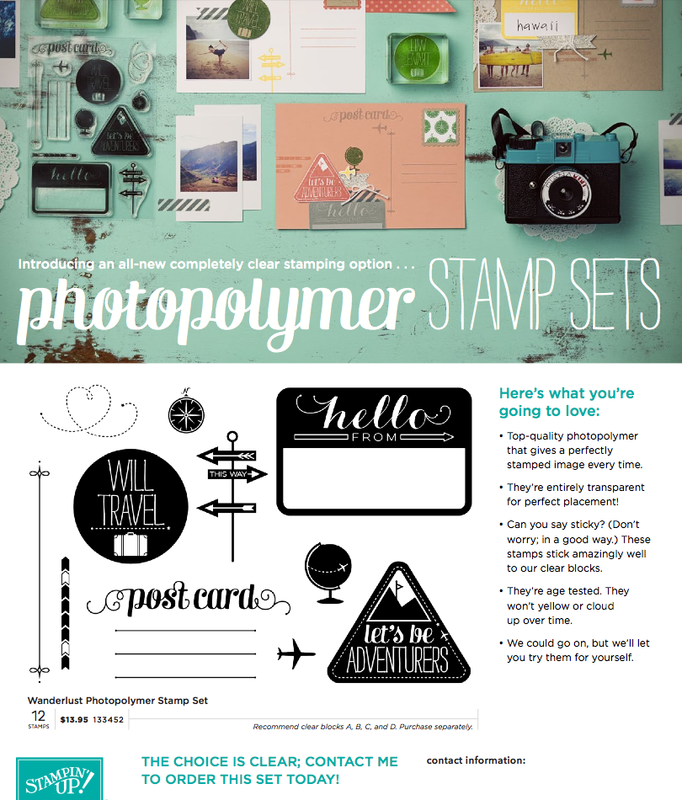 We’re excited to announce that we now have wood-mount, clear-mount AND photopolymer stamps! The new photopolymer will be an addition to our stamp line and will appeal to all types of stampers. Our top-quality photopolymer has just enough give to create a perfectly stamped image every time and with the introduction of our firm-foam pads, let’s just say they’re meant for each other! Photopolymer stamps will also be unique, fun designs that will inspire you and provide more versatile options you may not see in our traditional wood- and clear-mount stamp options. What makes them so great?